Jenn Harrman holds a Masters in Historic Preservation from the School of the Art Institute in Chicago where she focused her studies on preservation-sensitive development. She has since worked for the National Trust for Historic Preservation at the modern icon the Farnsworth House coordinating their tour program and special events including INsite, an internationally acclaimed light and sound installation that earned recognition from the Americans for the Arts as best in 2014. 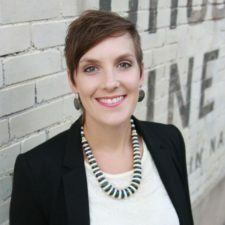 Having moved to Nashville in only 2014, Jenn served as the Associate Director for the Tennessee Preservation Trust before taking on new challenges as part of the communications team for Metro Water Services.